Chrissie shares her key tips for layering pattern so you can easily create your own signature style. Q. What are your top tips for layering pattern? A. We make layering pattern easy at No Chintz, there are a few steps to learn and through them you can create your own signature eclectic style. 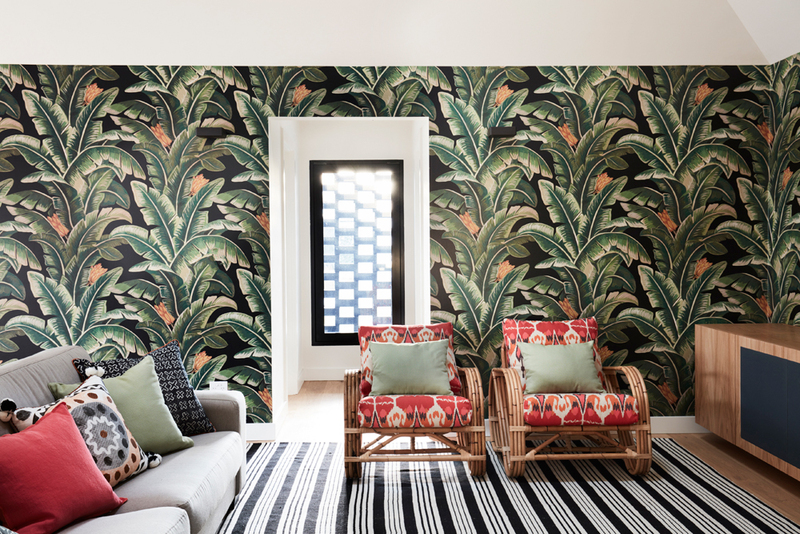 If you’re keeping your walls the same colour, a rug is a good starting point for introducing pattern. From basic to luxurious, we have a great selection of rug suppliers. We can source the perfect rug that can give your room a good base for layering pattern and colour. Come into store with a pic and sizes so we can recommend a suitable rug for your space. 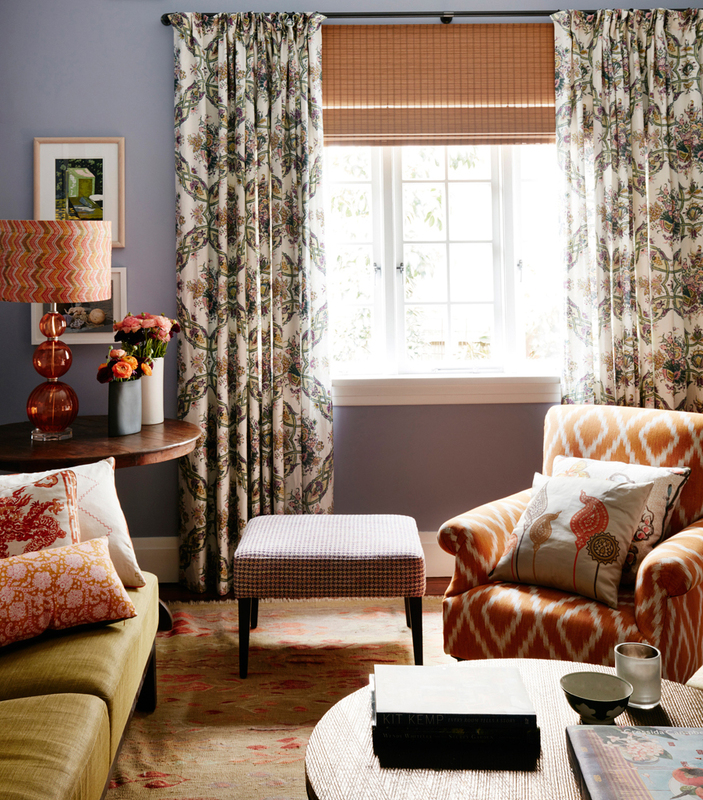 The best way to layer patterns & prints in a room is through window coverings, lampshades, wallpaper, occasional furniture and cushions. 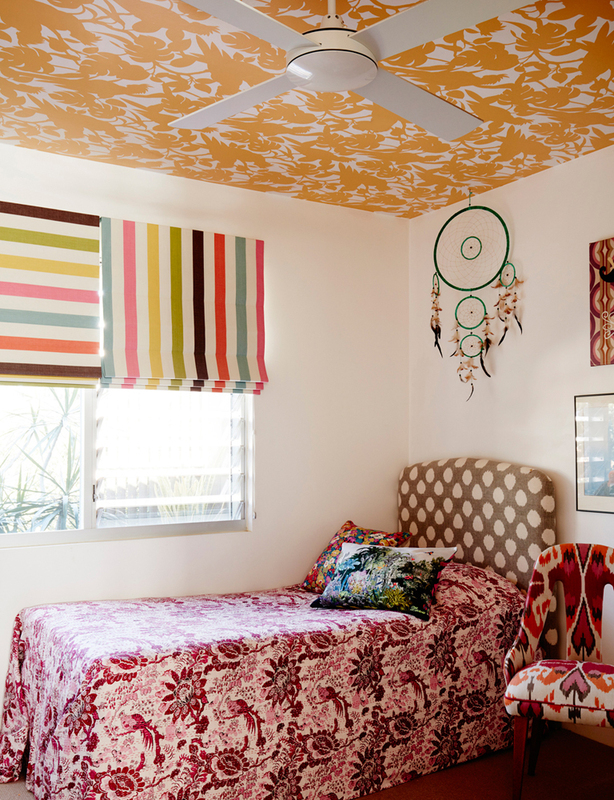 Cushions and lampshades achieve the quickest results. All our stores have an enormous range of beautiful ready to go cushions and if you’re fortunate there could also be a lampshade to match. So call in and start layering. London Designer, Kit Kemp does this so well. Occasional furniture, such as an arm chair or ottoman, are great pieces upholster with a pattern. Our Ikats look amazing on a single chair, the bigger and more colourful the better, while ottomans also look good in strong print and colour. Combine two different fabrics, one on the top the other around the sides, for an eclectic feel. Alternatively join one of ourworkshops and make a Lined Drum Lampshade in a plain fabric with a printed lining - click here for dates and details. I've often found the safe choice can prove to be the wrong one. It’s not until the scheme is complete that you wish you’d been a bit more brave. 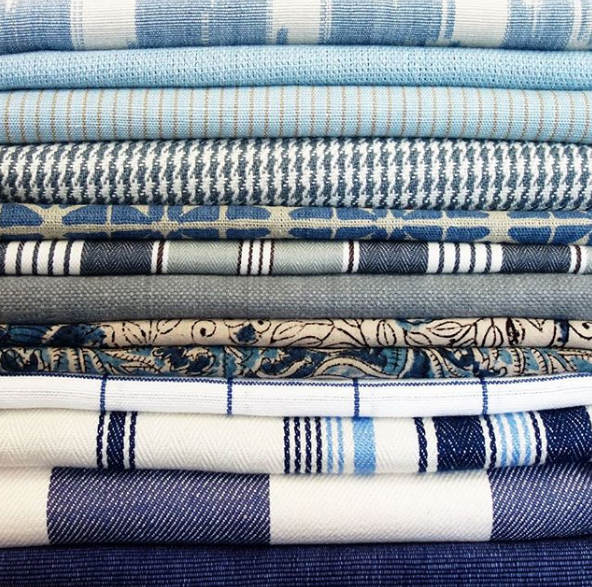 We make it so easy for our clients by allowing you to borrow one metre pieces of our in-store fabrics so you can take them home and check that you are on the right track. We are your bestie when it comes to finding you the right choice and our ranges are designed to work together in multiple ways to suit your individual taste. 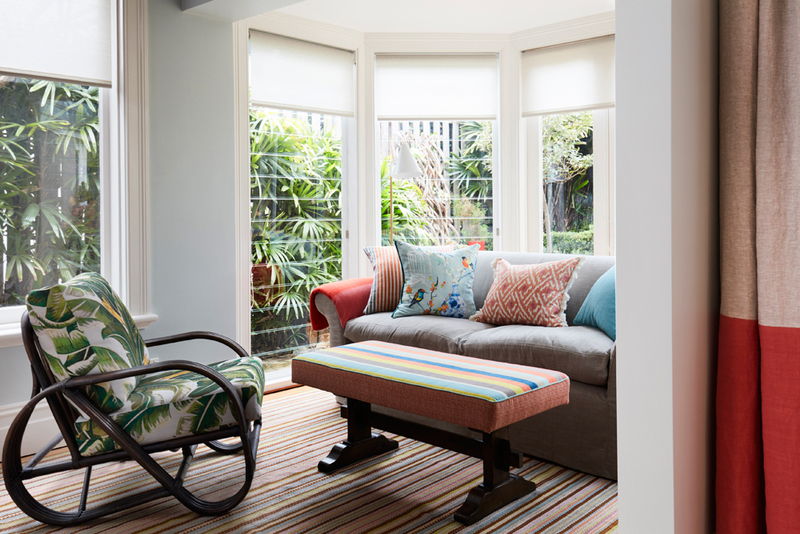 Do you have an interiors question for Chrissie? Email it to admin@nochintz.com for your chance to be featured.